Ecosia's search results and search ads are powered by Microsoft Bing. We use Bing's search technology, enhanced with Ecosia's own algorithms. Bing is Microsoft's own search and it was launched in June 2009, so just a few months before Ecosia was founded! But that's a different story. Bing is the second largest search engine in the US, after Google. Did you know that Bing not only powers Ecosia's search, it also powers Yahoo! Search? For further information on Microsoft Bing we found the Wikipedia article quite helpful. Either click on the link or type "bing #w" into your search window and Ecosia will take you straight to the wikipedia article. Cool short cut, eh? Also works with more search tags, feel free to try them all! For further info on Bing's CO2 neutralization policy, see the article Is Bing CO2 neutral? 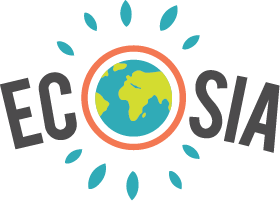 For further info on what user information we pass on to our partners at Microsoft Bing, see How does Ecosia handle search and data privacy?